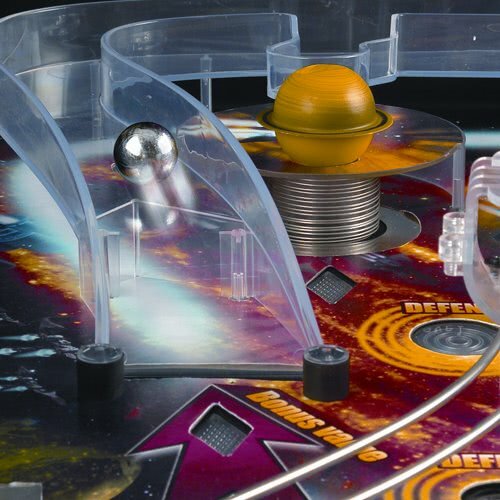 The Star Galaxy Pinball is a 3/4 size model that represents fantastic value for money - a sturdily built table that uses genuine Pinball components so that it looks, feels and plays just like the real thing!! Brand new 3/4 size pinball - perfect for home use! 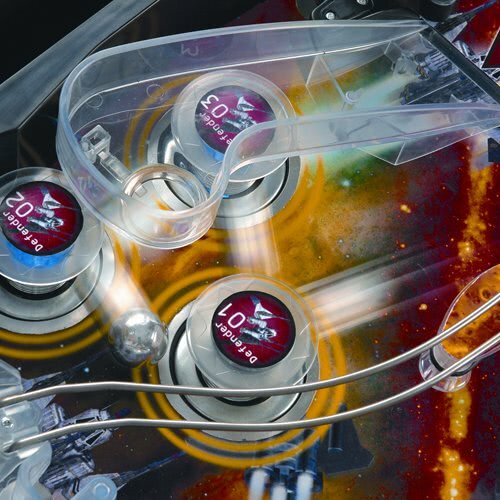 The Star Galaxy Pinball is a 3/4 size model that represents fantastic value for money. For a fraction of the cost of brand new commercial tables, the Star Galaxy Pinball has been specially designed to fill a gap in the market - a sturdily built product that uses genuine pinball components so that it looks, feels and plays just like the real thing. There are loads of fantastic play field features such as fast action bumpers, a bonus extra life ramp and spinning wheel bumper as well as stereo sound effects and LED lighting. You can choose between 1 or 2 player, the difficulty level and adjust the volume - all at the touch of a button! The Star Galaxy pinball is a great addition to any home games room and will provide hours of pinball fun for the whole family. Amazing machine! Nothing else on the market to compare! Had a small issue with spinning wheel not working due to connection on motor not soldered but sorted this myself. Free delivery is to UK Mainland only. Additional charges may apply to areas north of Glasgow (AB, DD, FK, IV, KW, KY, PA & PH Postcodes), Northern Ireland, Republic of Ireland, Islands and overseas - please contact Liberty Games before placing your order.